FANBOY PLANET.com . : rb-uncle-2015 :. 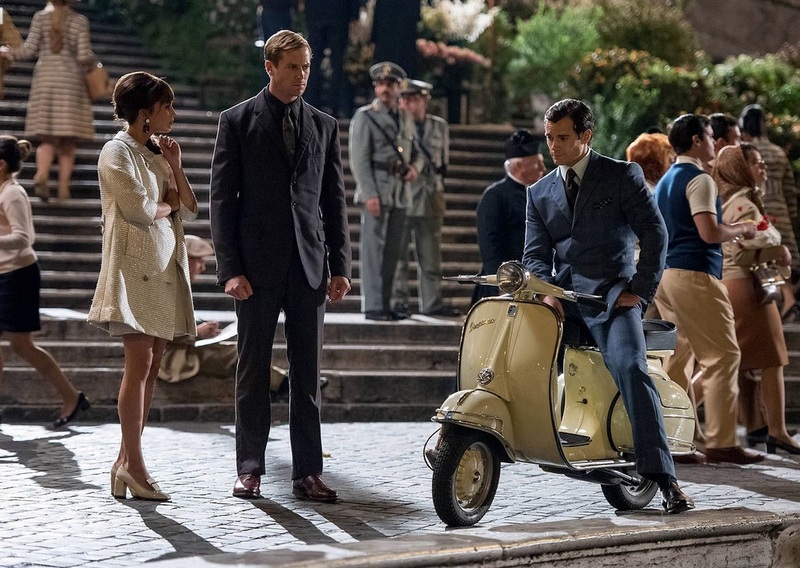 Guy Ritchie's The Man from U.N.C.L.E. shows great respect for recreating the cool cold war spy environment that was the signature of the 60's TV show. Probably more respect than any other similarly-transitioned TV series to cinema project brought to mind. It begs comparison. And when you think about the competition here, films like The Wild Wild West, Get Smart, The Saint, I Spy... that bar is pretty low. But Ritchie vaults the competition with grace, clearing the bar with a period piece cold war recreation that leaves little to complain about in its authenticity and spirit. Unfortunately, that's not going to be enough for everyone. The plot line is straightforward and easy to follow, with twists and turns that any decent GPS could easily navigate. This is an origin film. We spend a lot of time getting to know our spies, and watching them get to know each other. Usually one or both ends up on the floor panting for breath, because the premise of The Man from U.N.C.L.E. has always been a coordinated international spy organization where US and Soviet agents work side-by-side on threats to world peace. Cold War enemies working together on a regular basis is a bit far fetched, but it was good enough to last for four seasons over five years. It spun off another series (April Dancer in The Girl from U.N.C.L.E.) and was the source for eight movie versions of previously aired episodes. It also spawned remendous numbers of toys, puzzles, games, albums, novels, comics, and a horde of imitators, including a parody show that lasted longer than its source material. Mel Brook's Get Smart parodied U.N.C.L.E. more than James Bond, and lasted five seasons. So there's a lot of history here. And for what it's worth, the film does its best to respect that history. Ritchie does so with a sharp eye for details, both in the regularities of life, and the spycraft and spy toys that fit the period. He avoids "advanced" science that would not have been available at the time, which is good. It gets tiresome hearing, "Yes, this is technology that the general public won't be seeing for another 20 years..."
Unfortunately, there's one additional comparison that should be made, and that's where modern viewers are going to see the weakness in this adventure. We have to look at Mission: Impossible, an even more successful TV series whose movie transformation broke with most of its tropes and traditions, instead providing us with breakneck stunts, thrilling pacing, and a focus on one specific agent, who admittedly does receive assistance from time to time from his Impossible Missions Force. That rebooted franchise just successfully launched its fifth film with Mission: Impossible - Rogue Nation. 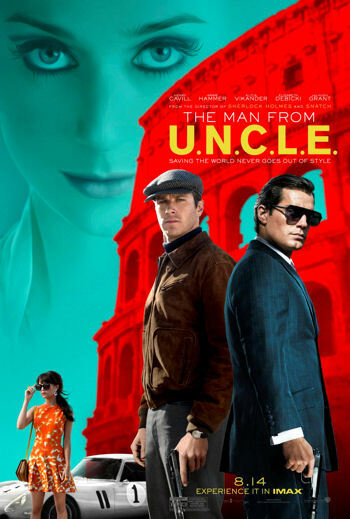 Even though I want it, I'll be surprised if The Man from U.N.C.L.E. gets the sequel that it spends so much time setting up with this film.When it comes to thrills and stunts, the film doesn't really turn up the volume. Of course, there are car chases, fire fights, covert actions, spy toys, femme fatales, and all the right elements. But they're scaled at a pace that we would have found common in the 1960's, and I fear that's not going to sit well with 21'st century audiences. Subtlety is all well and good, providing it's fast, loud and flashy. There's nothing wrong with the cast, this is a terrific set of actors and there aren't any sour notes. You do have to accept that Superman... er... Napoleon Solo, played by Henry Cavill, is a suave and sophisticated ex-thief recruited by the CIA. 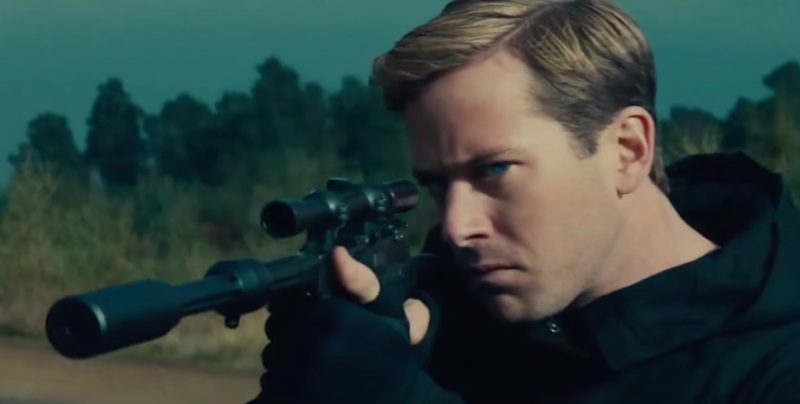 He pairs off with Illya Kuryakin (Armie Hammer), a top Soviet spy who has a small rage problem, mostly kept in check. 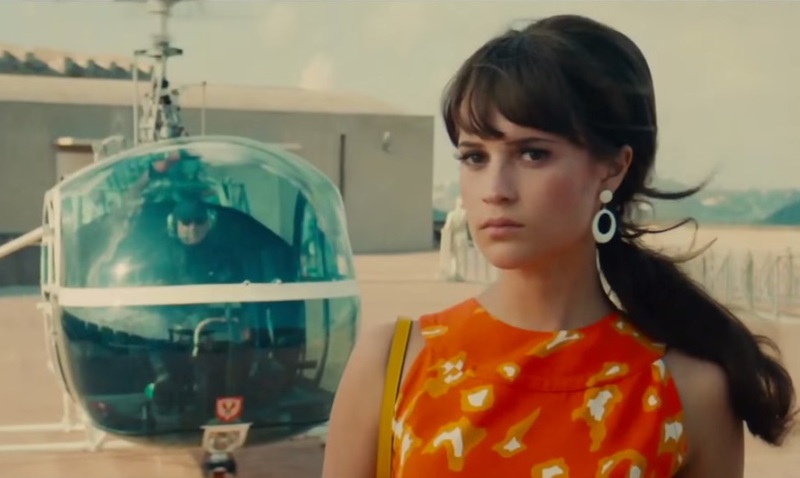 The third "asset" of this group is Gabby Teller, the imperiled daughter of a Nazi scientist and race car mechanic, played with just the right kind of 60's pop style by Alicia Vikander from Ex Machina. Predicting her role in future movies might be a bit of a spoiler, but I suspect she's a bit of a dancer. The interaction among these three saves this film, making it very watchable. Don't worry that the simplistic and straight line threat may be dispatched in a less than breathtaking manner. Here in the 1960's, it's the trip, not the destination, that makes for an enjoyable two hours. Cavill and Hammer are best when alone and working through a situation, and by working I mean competing. Cavill's somewhat snarky Solo captures much of what I loved about the original actor Robert Vaughn's rendition. He's the one in evening dress, with the quick quips, and the only one successful in his conquest of a couple of "U.N.C.L.E. girls." He's particularly watchable parrying with slinky European supervillian Victoria Vinciguerra (Elizabeth Debicki), who has stepped right out of a 1960's issue of Vogue Paris. Hammer's Kuryakin has changed the most from the way it was originally played by David McCallum. It was a recurring joke for Illya to get the dirty jobs, even a trash collector in one episode, while Napoleon was getting busy at an uptown party. But it was obvious that many times Illya was the smartest guy in the room, dishing up details and revelations that no one else was even close to coming up with. That subtle enigma has been replaced by a staunch Soviet agent with a barely (mostly) controlled rage disorder that jeopardizes the mission on more than one occasion. Hammer does make it work, but it's probably the greatest distance this movie takes from the source material. 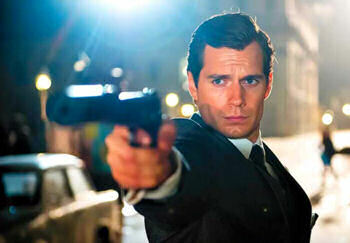 There are a few more nits that bother me here: Cavill's suits are cut a tad too tight for the 1960's. They're much more a blend of 60's and modern suit styling. We never hear anyone say "Open Channel D," the famous callsign for U.N.C.L.E. agents calling home base. Again, this is an origin story where the larger U.N.C.L.E organization doesn't exist yet, so perhaps they really don't need multiple channels to communicate.They don't even get the U.N.C.L.E. branding until the final minutes of the film, and the famous acronym isn't explained. You can catch the meaning if you watch the end credits very carefully. Maybe they'll actually discuss it in the director's cut. We do get Hugh Grant as Mr. Waverly, the M analogue played by Leo G. Carroll in the original series. If you watch for him, he's all over the first half of the film, but isn't actually introduced until the latter half. Would introducing Grant to the film have stolen some of Cavill and Hammer's limelight? To be sure. Definitely. And I would have loved it.